1) Participation at any one of the United States Championships Circuit Events will earn you points to determine your Ranking. 2) Teachers competing in the series must have their NDCA dues up to date and posted on NDCA website. If not, they will forfeit all winnings for themselves and their students. 3) Competitors winning awards must be present at the awards presentation at United States Dance Championships, or they will forfeit their awards. 4) To receive the Top Teacher prize money. The teacher must compete at the United States Dance Championships with 25 Pro/Am Single dance entries or more. 5) Any discrepancies in scoring or point accumulation must be reported in writing by using the Discrepancy Report Form on the website. Discrepancies must be filed no later than 21 days after the event posted date on the Leader Board. If not, points will not count. 6) All entries danced at the USDC will count toward the FINALE except for the entries on Saturday. The United States circuit awards will be presented on Friday night, there forth, all entries on Saturday cannot be counted toward the Finale. 7) All points danced at the United States Dance Championships are doubled. We will not accept telephone calls, email, word of mouth, FaceBook or Twitter. It must be in writing using the Discrepancy Report Form on the website. All discrepancies must be filed 14 days before United States Dance Championships week. No discrepancies will be taken at United States Dance Championships except for The Embassy Ball Dancesport Championships as that event is the week before USDC. 1) There is no cash value for any of the vouchers.  2) Vouchers won at the most recent United States Dance Championships can be used towards the following: Entry Fees & Admission Tickets for the United State Dance Championships the following year. 3) Vouchers cannot be transfered. 4) You must be present at The United States Dance Championships to receive cash or voucher awards. The teacher and Student must compete at the United States Dance Championships with 25 Pro/Am single dance entries or more. Teachers, Students and Studios will accumulate points in the following manner. Call backs will each receive 4 points in addition to placement. Call backs will each receive 5 points in addition to placement.